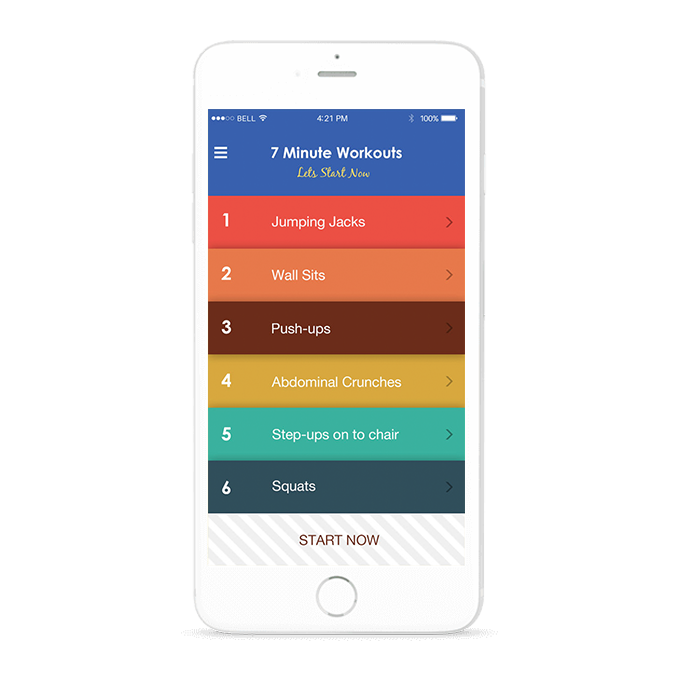 7 minute workout is an ultimate solution for your dynamic workout routine. You can shed weight, get a flat abdomen, increase abdominal muscles and can formulate six-pack abs. Get beefy with our tutorials videos where you can spot 12 potential powerful exercises. Perform each exercise, this will help you to remove your belly fat and strengthen your body. The extremely skilled developers at Cooperative Computing have intricately, yet profoundly designed and developed this mammoth workout application to fulfill the needs of workaholics, busy individuals.